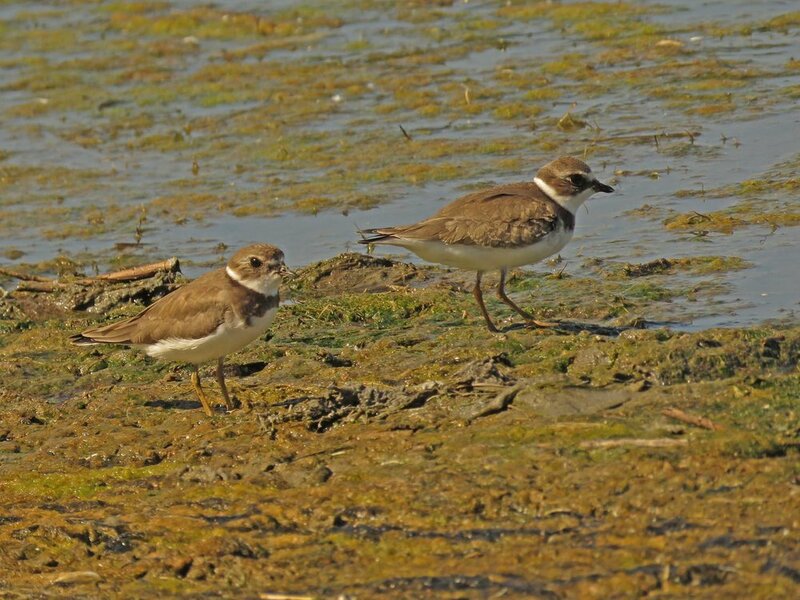 The semipalmated plovers have been delighting me all summer and fall. 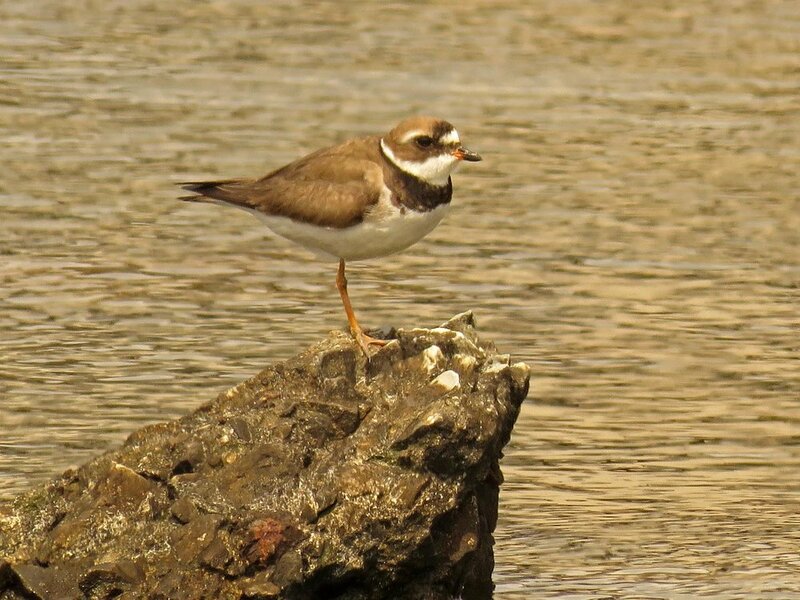 I have seen them in the Bronx (Orchard Beach), Staten Island (the beaches at Mount Loretto and Wolfe's Pond) and Queens (Jamaica Bay Wildlife Refuge and Broad Channel American Park). 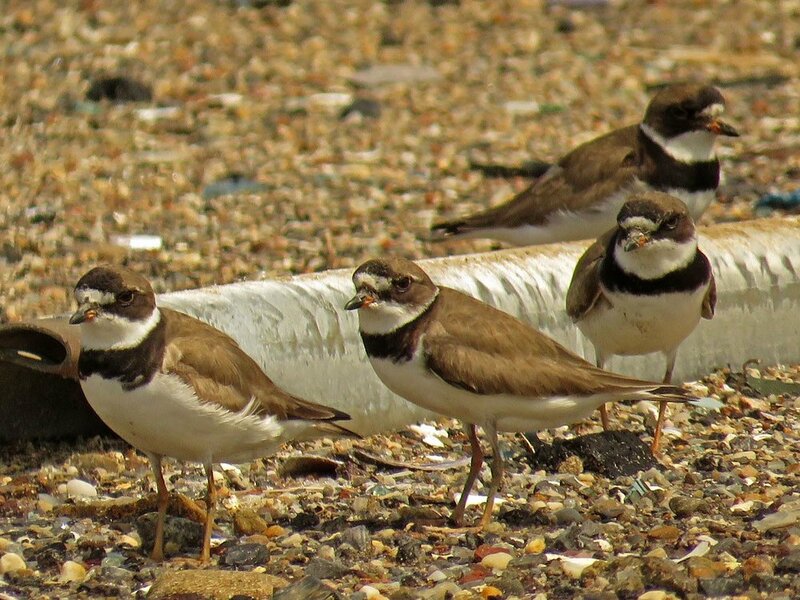 They are talkative little birds, and when I saw flocks of them at Broad Channel, they were really peeping up a storm (you can listen to their calls on the Audubon site). The "semipalmated" part of their name refers to the partial webbing between their toes. 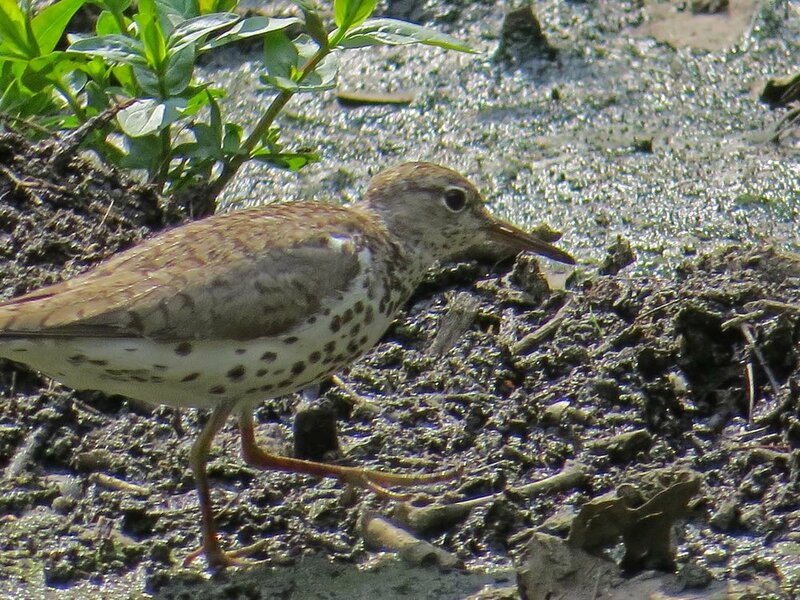 These little shorebirds eat insects that they dig for in the mud and sand on the shorelines. 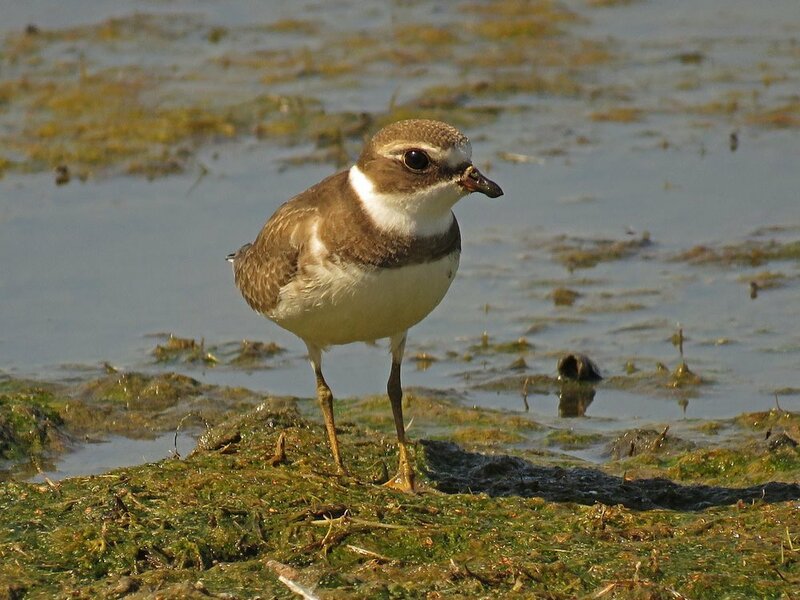 They are distinguished from killdeer by their single dark band across the chest (the killdeer have two bands). They have short black bills with an orange base. They have been such fun to photograph, and these photos range from June 1 to October 4. Governors Island is just a short ferry ride away from the Isle of Manhattan, and definitely a summer destination (as well as a spring and early fall place to visit). It has an absolutely incredible view of the Statue of Liberty! There is a lot of nature there, particularly birds and flowers, but good bugs, too! The island has very few cars (only official and vendor motorized vehicles allowed), lots of bicycles, and many pedestrians. Slowly but surely, more and more touristy places to spend your money are popping up on the small island. But in advance of the total commercialization that will probably deprive Governors Island of its charm, I've been visiting and documenting the nature there. On August 6, I walked around the island photographing wildlife and avoiding people. 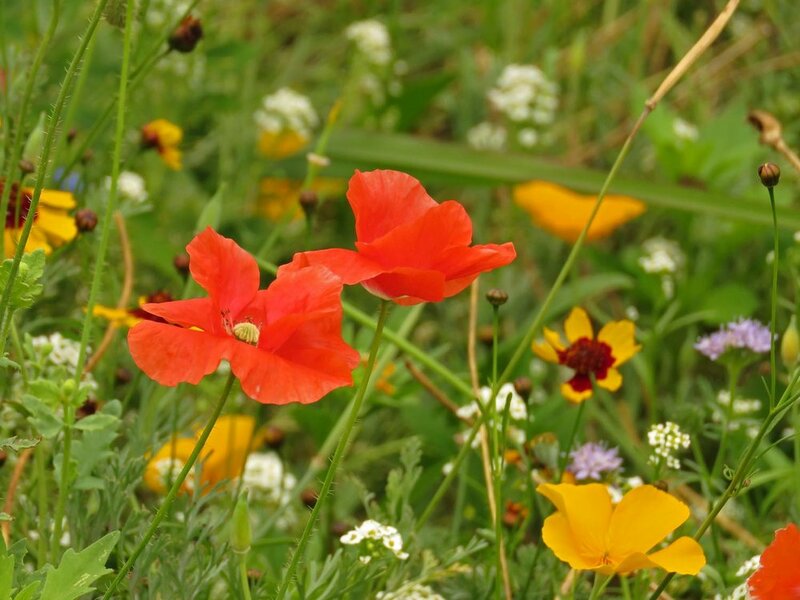 I offer here An August Nature Walk on Governors Island. For the last two years, a pair of yellow-crowned night herons have been nesting on the island. The babies this year are so delightful. The first stop of my walk was just west of the castle, where I saw a banded common tern. I watched it for a while, and you can see the flight in the video. On a building across from the Harbor School, a mother herring gull watched over her kids, occasionally squawking at them. Below, on the ground, two youngsters ran around, stretched or slept. I shifted my focus between the gulls and the heron nest. After leaving the Harbor School area, I walked south along the west shore and found least sandpipers exploring the rocks. 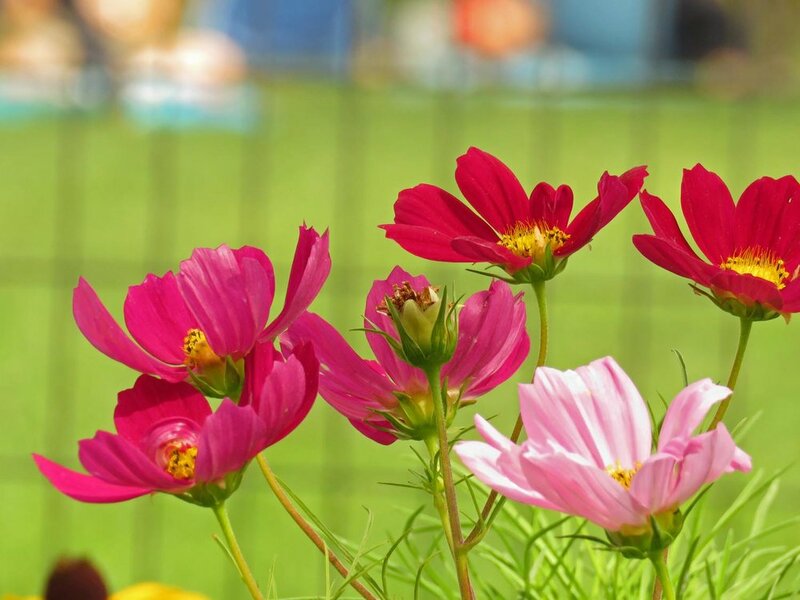 There are flowers to be found everywhere you look on the island, not only in the Urban Garden (which I didn't visit on this trip) or the garden in front of the Harbor School. And I saw lots of bugs, but focused on the butterflies, including a very beautiful skipper, a monarch butterfly, a cabbage butterfly, a painted lady and a battle-scarred spicebush butterfly (I think, but am not sure). The island will remain accessible through the end of October. I will go back, I hope several times, and hope to have lunch those days at Little Eva's. Is higher or lower. He couldn’t tell you which. 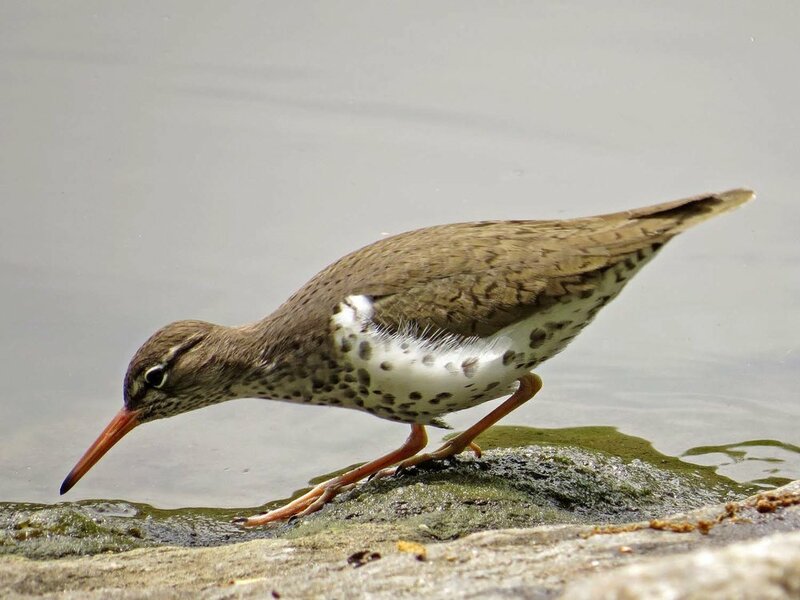 Sandpipers (order: Charadriiformes) often visit Central Park and Muscota Marsh (immediately north of Inwood Hill Park) during migration and give us a few days of delight as they run up and down the mudflats, lakeshores and salt marshes. I've seen three kinds of these shorebirds in the last few years: Solitary Sandpipers, Spotted Sandpipers and Least Sandpipers. In The Sandpiper, Elizabeth Bishop really captures the sandpipers I've seen when she writes, "Poor bird, he is obsessed!" The sandpipers can't seem to stop, can't seem to take a rest as they hunt for food, or fly off briefly and then come back, only to bob and peck and peck and bob some more. 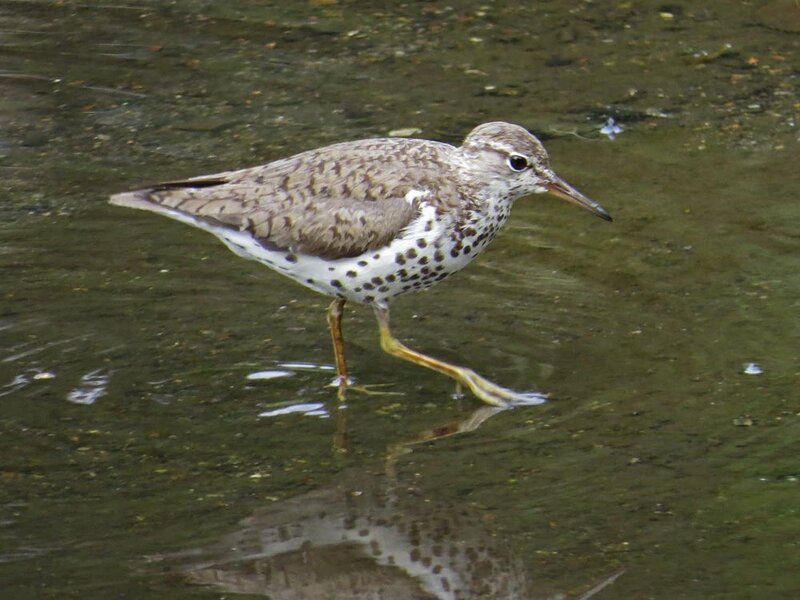 When I was putting together the spotted sandpiper video, I found footage of sandpipers from 2015 at Muscota Marsh, but could tell the birds were neither the solitary nor the spotted sandpipers I'd seen recently. 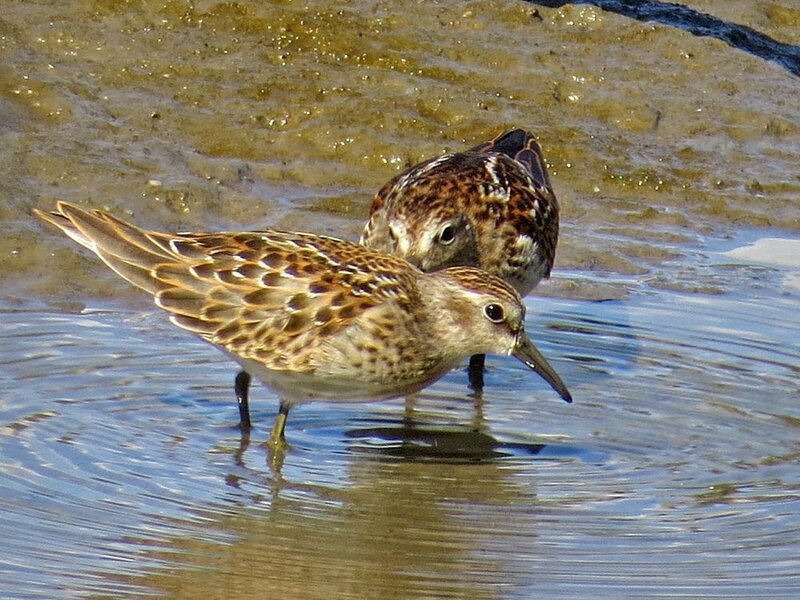 I asked around, and was told by a superb young birder that these were least sandpipers. I believe him, but if someone disagrees, let me know and I'll do more research! These sandpipers are the smallest of the three, and are part of the group of five small sandpipers known as "peeps." 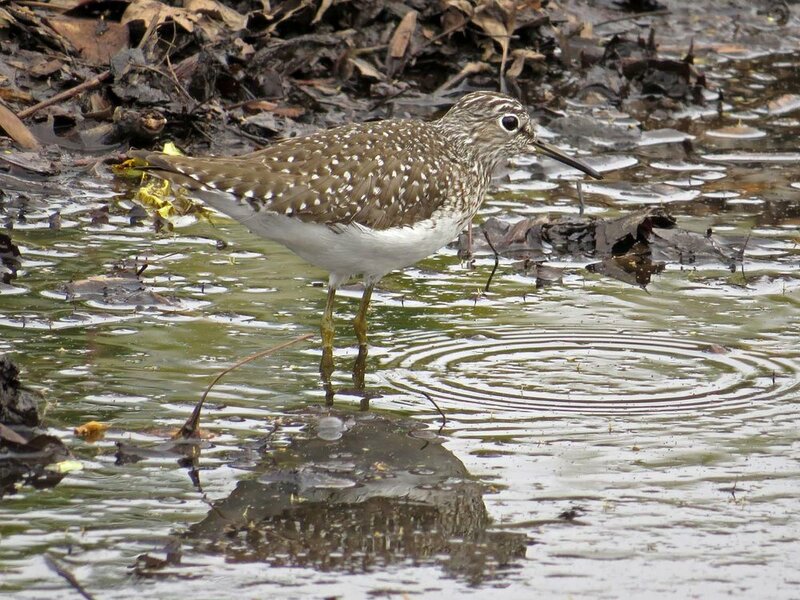 I've now done three videos of sandpipers: in Central Park, solitary sandpipers I saw on April 27 this year in the mudflats south of Conservatory Garden; spotted sandpipers I saw on May 1, 2017, at the Lake, and in April, July and August 2014 at Turtle Pond and the Pond; and a pair of least sandpipers I saw at Muscota Marsh on Aug. 13, 2015. The composers I used vary, but all the music features flutes for the pipers. Here are more photos of the solitary sandpipers (Tringa solitaria) I saw flitting around the mud near the compost heap on April 27. They lived up to their name: I watched three or four solitaries that day, and only once did one approach a second bird, only to be shooed off immediately. 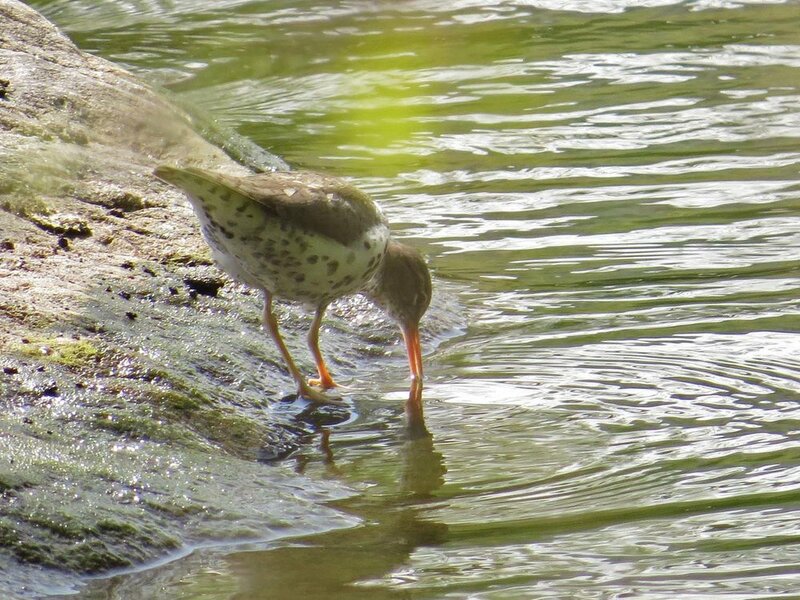 This grouping shows the spotted sandpiper (Actitis macularius) I watched on May 1 of this year at the Lake. 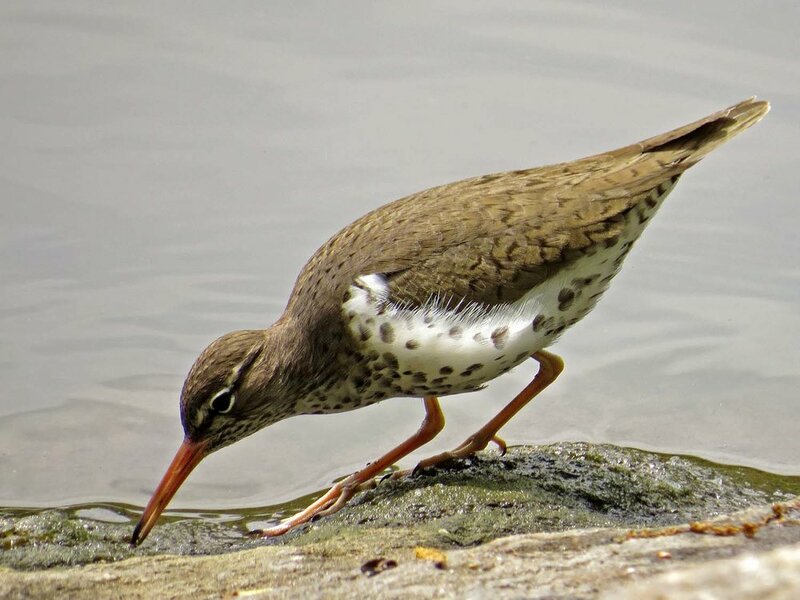 This group shows spotted sandpipers seen in Central Park in 2014 in April, July and August. The least sandpipers (Calidris minutilla), with their yellow-green legs and round bodies.